Geriatric palliative care is described as person-centered care that matches treatment to informed patient and family priorities, with a commitment to expert communication skills, evidence–based practice, an interdisciplinary team approach, and the meticulous management of pain and other symptoms ‘that steal the will to live and stand in the way of an acceptable quality of life’. Not included in their list distinguishing geriatric palliative care from other approaches (but very adequately discussed in an early chapter), are that considerations about frailty, functional dependency, cognitive impairment and family support needs are added to the usual medical indications in the equation about when it is appropriate to start palliative care. 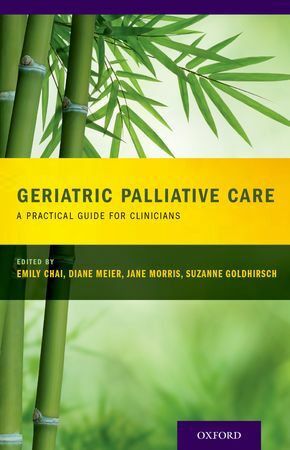 The book has sections providing an overview of palliative care, special issues in geriatric palliative care, the management of common symptoms, the management of different diseases and syndromes, and the interdisciplinary team. The chapters are brief, but well set out with plenty of headings, lists and tables, making them easy to scan and the information more available. The clinical chapters provide information about causation, investigation (history, examination and tests), treatment options and issues specific to the palliative care setting. Included are discussions of many of the problems seen in older adults that cause significant clinical morbidity without necessarily being related to the primary disorder, such as peripheral vascular disease, polymyalgia rheumatica and diabetes. Each chapter ends with a summary of take-home points. I can quibble about the lack of discussion about the new oral anticoagulants, and whether they are better or worse (or just the same) for older patients, but overall I think this book provides a good coverage and it is very practical and useable. Given that we are encountering an increasing number of older adults in palliative care, this would be a useful book to have on the shelf for quick day-to-day reference, providing the geriatric perspective on the problems we encounter. 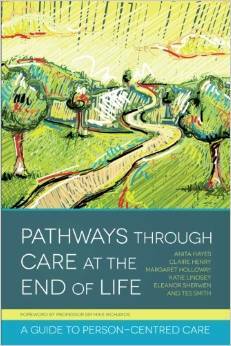 This book is about the development and components of the NHS End of Life Care Pathway, how we can and should be doing it better, for ‘all adults at the end of life, across all healthcare settings and health conditions,’ written by six people who previously worked together on the National End of Life Care Programme in the UK. The first thing that struck me was that very little seemed new, although much is touted as new. Most of the problems they list, what we doctors fail to do or do badly, what some of our colleagues do even less well, the lack of end of life care for non-cancer patients, etc., etc., were clearly identified and earnestly discussed 30 years ago. Their quotations from Dame Cicely Saunders and Dr. Elisabeth (she spelt it with an ‘s’) Kübler-Ross underline that. Perhaps, back then, there were not enough of us on the ground. There are some references to recent studies, but they just corroborate what we knew or felt back then. The Liverpool Care Pathway (LCP) gets short shrift, which doesn’t seem just, but perhaps it is no longer politically correct to mention it in the UK. I note that they quote Baroness Julia Neuberger’s statement about unsatisfactory results ‘where the LCP has been incorrectly implemented.’ (my italics). There is no discussion about what would happen if euthanasia or physician-assisted suicide were to become legal, which would certainly turn their game board around. To give the authors their due, this is a reasonably short and readable review of where we should be trying to go to deliver better, more individualized care for more people at the end of life. I did not like the ‘STOP AND THINK!’ messages in the text; there must be a more polite or subtle way of posing questions. Not working in the UK, it is difficult for me to know how successful the program has been. One has to worry that the remit is too great and that it will take generations for the necessary culture change in the whole workforce. And the oncologists have come across a mother lode called targeted therapy that will put discussions about death and dying back ten years or more in the cancer clinics. But it is the way we should be trying to go, although I would maintain it is not all new. 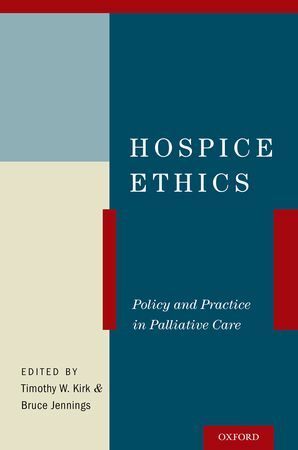 This is an edited collection of 13 scholarly essays covering all aspects of ethics in relation to hospice care, and what they may mean to us on a personal, professional, organizational and even societal level. The book is divided into four sections. The first deals with the historical development of the philosophy of hospice care. Section II explores the ethical issues involved in the interdisciplinary team approach to care, but focuses only on the pharmacist, the medical director and the team as a whole; I would have liked to hear about the ethical issues from the nurses, the social workers, the pastoral care workers, and the occupational therapists, to name just a few. Section III deals with ethics related to organizational and policy issues in hospice care and includes an interesting discussion about the relationship between hospice and physician-assisted suicide and another about hospice ethics committees – how they should be constituted and how they should operate (in contrast to hospital ethics committees). The final section is about the future of the philosophy and ethics of hospice care and how it must now move upstream to be involved in the earlier stages of those progressive, incurable, and debilitating chronic conditions that are increasing as the population ages. That’s not a new idea – we have believed for a long time that the holistic, interdisciplinary, person-centered, palliative care type of care is of benefit and should be employed long before the patient is terminally ill. But whether it is feasible is a big question – back then, it was a real struggle to secure the resources for a basic team to look after those who were terminally ill, which is now compounded by the rapidly increasing numbers deserving care associated with our aging populations. This book will be of particular interest to anyone who works in palliative care and has a special interest in ethical issues, and should probably be read by team leaders, administrators and those involved in planning the future development of hospice care. Jo Cebuhar is an attorney but is no stranger to hospice and palliative care. She has been chair of Iowa’s largest hospice and is the author of several books about end-of-life care including Last Things First, Just in Case – about living wills and powers of attorney, and So Grows the Tree – about creating an ethical will to pass on your beliefs and values, life lessons, and hopes for the future. 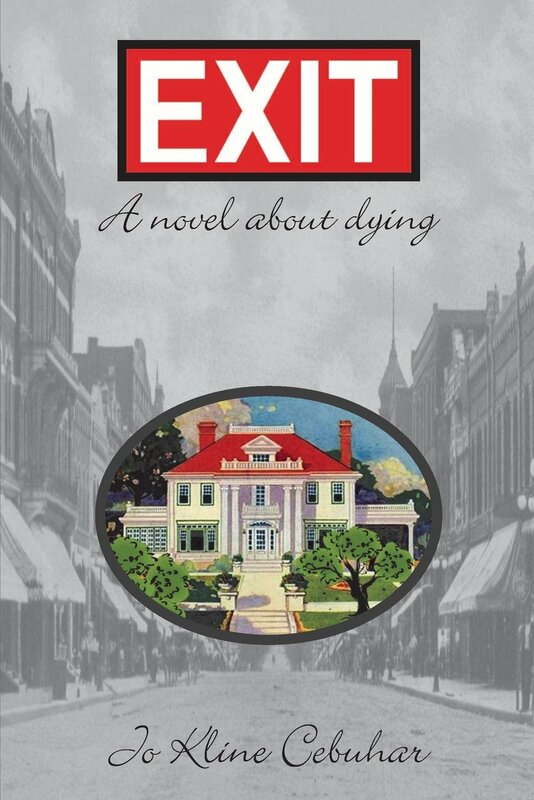 So what’s with a novel about dying? My first impression was that she enjoyed writing the book, telling a story. She has assembled a believable cast of families, mostly ordinary folk, who are used to demonstrate some of the many different reactions to death and dying, including those that may be beneficial and some that are funny. Her characters laugh as well as cry. She uses a technique with italicized text that allows you to hear what someone is saying at the same time as knowing what they are thinking – which in the palliative care setting is not always the same. Using this, she gets everybody’s emotions out in the open, which adds a bit of tension and makes more interesting reading. If you work in palliative care, this is an enjoyable read for a lazy weekend at the beach (it’s summer down here in Australia). It’s not going to add much to your palliative medical skills, but it will engage the grey matter as the stories of the various families evolve. And the lay reader? Is this a book we should be recommending to the families of our patients? I honestly don’t know. Whilst all the information about terminal illness, hospice and palliative care, living and ethical wills, etc, is both true and understandable, I don’t know whether a relative wants it dressed up as a novel. You can be the judge – read it and see what you think. The other importance of this book is to do with getting our message about hospice and palliative care, death and dying, advance care planning, and wills of any sort, out there in the public domain, for which Jo Cebuhar deserves our thanks.